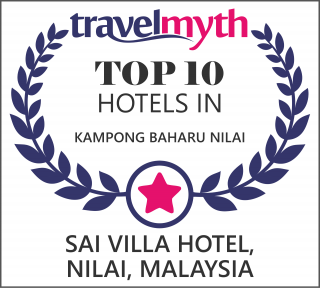 Sai Villa Sendirian Berhad is a great choice for accommodation when visiting Nilai. From here, guests can enjoy easy access to all that the lively city has to offer. No less exceptional is the hotel’s easy access to the city’s myriad attraction and landmarks such as Nilai 3 Wholesale Centre, Nilai Square, Restoran Loon Sing Convention Hall Sdn Bhd, Hailam Kopitiam, Pizza Hut, Dominos, Tesco and Giant Hypermarket.